Author Zachary Helton seeks a terrifying Savannah ghost story remembered from his childhood. Having had a lifelong fascination with all things bumping in the night, I’ve owned countless books of alleged “true ghost stories” over the years. Of the hundreds of stories I’ve read, the two types that always stuck with me were the ones that involved horrific violence, or the ones that occurred close by. I grew up in northwest Georgia, so the Bell Witch was always one of my favorites, as well as a smattering of Bigfoot sightings in the Appalachian foothills. I was listening to a podcast a few months ago in which the topic of the meteorological phenomenon known as blood rain was discussed, and this reminded me of a story I’d nearly lost from memory. I made a note dig out that book from my mother’s attic the next time I visited, but twenty sweaty minutes yielded no results. She’s moved a few times since I was a kid, so I’m sure that’s not the only thing that will turn up missing when all is said and done. The book was a collection of Georgia ghost stories and legends up until the Great Depression. The name escapes me, but I remember it was hard-bound (maybe library binding?) with blue raised paint on a lighter blue background. The art on the front depicted a large plantation house with a big, empty front yard and a magnolia tree. If you have any clue which book this is, please leave a comment; I’d love to track down another copy. Sometime in the early 1850’s, in early spring, a leather worker’s son ran into his father’s workshop in Lexington, GA, screaming about having found a bodiless head while collecting firewood just inside the woods bordering the small town. A search party was formed and was easily guided to the head by the child. It had belonged to a younger black man, probably about 20, and almost definitely an escaped slave. The party sent the child back home and pressed on into the woods. About fifty yards away, they discovered the rest of the body. A brand had been burned into the skin, proving that the man had been a slave. 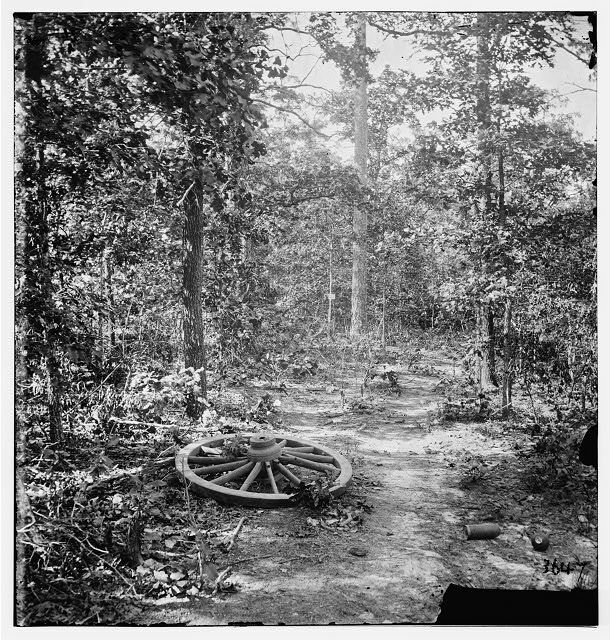 He was gaunt and his clothes were in tatters, and the men assumed he had made his way from Macon, heading northeast to hook up with sympathizers who would guide him to Underground Railroad routes through North Carolina. In the 1850’s the death of a slave wasn’t exactly front page material (had Lexington boasted a newspaper), but the disturbing nature of the murder caused word to get around. Public concern would grow with the discovery of each new body. At least nine total victims were confirmed in the six months following the discovery of the first body, all eviscerated or destroyed in a manner that far exceeded the minimum damage needed to inflict death upon a human. The murders told the story of an individual who was taking great pleasure in causing harm, and no one felt safe, white or not. This is where legend begins to creep into the historical record. As the legend goes, young boys would dare each other to go into the woods to see if the killer had struck again. Some of the boys returned from their test of bravery claiming that the woods didn’t feel right, and that temperatures had been much too cold for a summer in the south. One boy swore that as he had stood in the woods, a warm, red rain had begun to pour all at once, and by its taste he knew it to be blood. Immediately upon this discovery he had run away, but he could not provide an explanation for why he had returned completely dry and un-bloodied. This was the part of the story that had stuck with me the most and what initially reminded me of the story. Assuming these accounts had been brought on by panic and paranoia over the murdered slaves, the sheriff of Lexington appointed a two-man task force to investigate the murders. The detective work, however, had all but been done for them: each of the bodies had been branded with the same insignia, sometimes in addition to other brands. The common brand led them to a large rice plantation near Savannah, GA. Here, I naturally asked the guide for the name of the plantation. He looked around suspiciously and quietly informed me that the family was still prominent in the city and it wouldn’t be in his best interest professionally to divulge such information. Whether he was having me on or not I couldn’t determine. A few days later the “task force” — two farmers who had been very hastily deputized — arrived at the plantation and explained to the owner the reason for their visit. He denied any knowledge of such grisly murders, and moreover explained that he wasn’t missing nine slaves… only one. Roughly six months prior, a slave had become enraged and broken into the main house at night, killing the three adult sons of the plantation owner as they slept. The owner would most likely have been next, but the third son had a wife who slept in the bed with him. That night she had awakened to the sound of her husband’s skull cracking; her screaming had alerted the rest of the house and the slave escaped in the confusion. The family was devastated, and more than that, vengeful. They’d sent wanted posters all up and down the coast and offered a significant reward to any who could bring the fugitive slave to justice, but no one had ever claimed the bounty. The legend says that the escaped slave had made his way northwest, either because he knew it wouldn’t have been searched, or because he simply didn’t know where he was going. The most obvious route would have been to the northeast, along the coast. Keeping in the vicinity of towns, where food could be stolen, was the best bet for an escaped slave, though it increased the risk of capture. Still, the punishment for running away had to be weighed against the risk of starvation for a runaway slave unaccustomed to living off the land. So the fugitive slave made his way toward Lexington, and the angry souls of the three murdered brothers followed him, exacting revenge on any runaways who passed through the nearby woods. Interestingly, the fugitive slave had distinct features which did not match any of the victims discovered by the citizens of Lexington. The task force returned home a few days later with little to offer in the way of results save for ghost stories. They could not account for the branding on the victimized slaves and felt that visits to the plantations denoted by the other brands would be equally fruitless. Another two victims were recorded in the months that followed, but activity fizzled out as winter set in and less slaves attempted escape. The phenomenon did not start again. The thing I liked about “The Legend of the Three Brothers,” as the guide dubbed it, was that it lacked a moral. There was no comeuppance that’s usually associated with fictitious ghost stories. Justice was not served. The murderous slave was not punished; the victims were allegedly innocents. It just rings true to life for me. I’d really like to find another copy of the book that had this story to see if it had any more detail or names. I just wanted to get the story out there while it’s fresh on my mind, and before it gets lost again. My friend has since moved to Savannah, so I’m hoping to visit him soon and see if the guide has any more tales that are slowly slipping out of the canon. I’ve come across several folktales/ghost stories which “lacked morals” – the immoral culprit(s) never got his/her/their comeuppance (or got off too lightly), the vengeful spirit(s) only terrorize or prey on hapless innocents because the culprit is somehow out of reach, etc. I personally find such stories unfulfilling, and author’s view of “real life” somewhat depressingly nihilistic, but of course that’s just me. Remember these are innocent people suffering in Slavery. Who knows what these so-called ‘innocent’ brothers did for someone to crush their skulls like that. And regardless them living the high life on the backs of human beings like that more than merits it. The Slave was the innocent here, and if those spirits are still around someone needs to bind them to a Witch Bottle or a Palo Pot and bury them in the ground so deep they’ll never wreak havoc again.